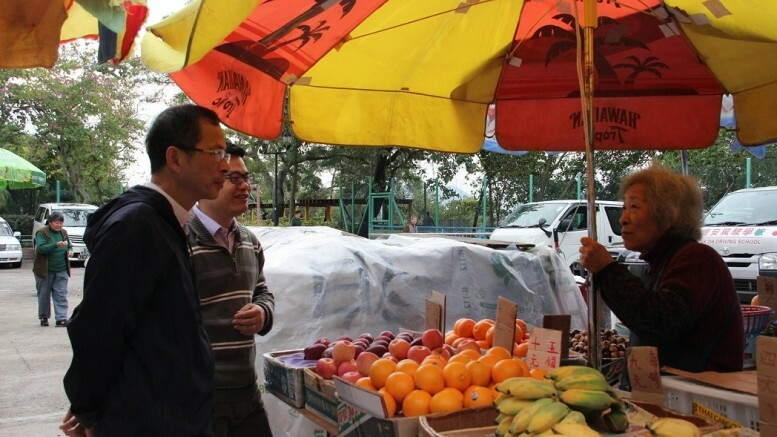 Legislative Council President Tsang Yok-sing talks to fruit stall owner at Wah Fu Estate. He dismisses fears that universal suffrage would result in welfarism. Professor Wang Zhenmin (王振民), Dean of Tsinghua Law School, has written an article about Hong Kong’s “deep-seated problems” in the Chinese-language Bauhinia Monthly magazine published last month. Of the three problems he pointed out, one is the conflict between the city’s existing capitalist system and people’s pursuit of welfare society. He seems to opine that governments in traditional capitalist societies only care about the rich, and those returned by universal suffrage only care about the ordinary masses. But if we look around the developed, affluent capitalistic societies, all of them have introduced universal suffrage for more than a few decades. It is true that they have “let rich people pay more taxes” and cared more about the majority of people since the last century. But that has not changed their capitalism nature, nor turned themselves into a welfarist socialist, or even communist society. They have continued to create a lot of billionaires. Professor Wang should not even worry about Hong Kong. The scale of wealth redistribution introduced by the Hong Kong Government is so small that the Heritage Foundation has picked Hong Kong as the freest economy in the world. Hong Kong ranks the first among affluent, developed nations and regions when it comes to rich-poor disparity. The development of universal suffrage has not resulted in higher taxes for the rich people, not to mention going to the other extreme of “just caring the ordinary masses.” Professor Wang should put his heart at ease over Hong Kong’s move towards democratic universal suffrage. Tsang Yok-sing is President of the Hong Kong Legislative Council. This is a translated version of his regular column published in Chinese-language AM730 on January 11. Be the first to comment on "Don’t worry about universal suffrage"